Roasted Peanuts were the most tempting munch on snack in my childhood. My father used to buy those roasted peanuts wrapped in paper cones from the street shops every week. We loved them so much… Only thing is they were not spicy, just roasted. I loved the smell of those peanuts roasted in the sand at high temperature. I am not going to roast it in sand anyway…. 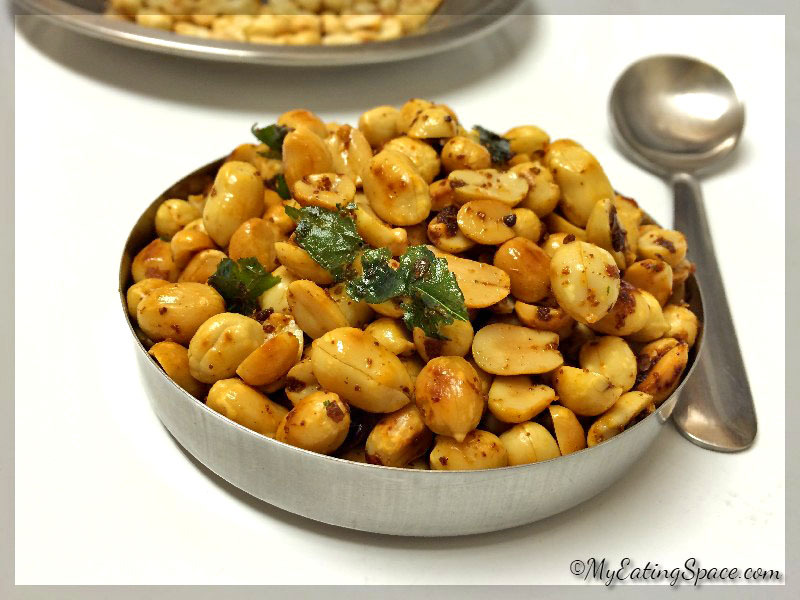 Also, they were just plain roasted peanuts and mine is spicy with a touch of garlic and curry leaves. They make a healthy snack as peanuts are rich in proteins and also an excellent source of copper and manganese and lots of nutrients. Or, I will say, it is definitely a power-packed food, a healthy snack and of course, it is gluten free.Roasted peanuts are usually mocked as an unhealthy party. But recent studies say roasting increases the overall antioxidant content of peanuts. Even though, weight watchers please be careful as they are rich in calories. 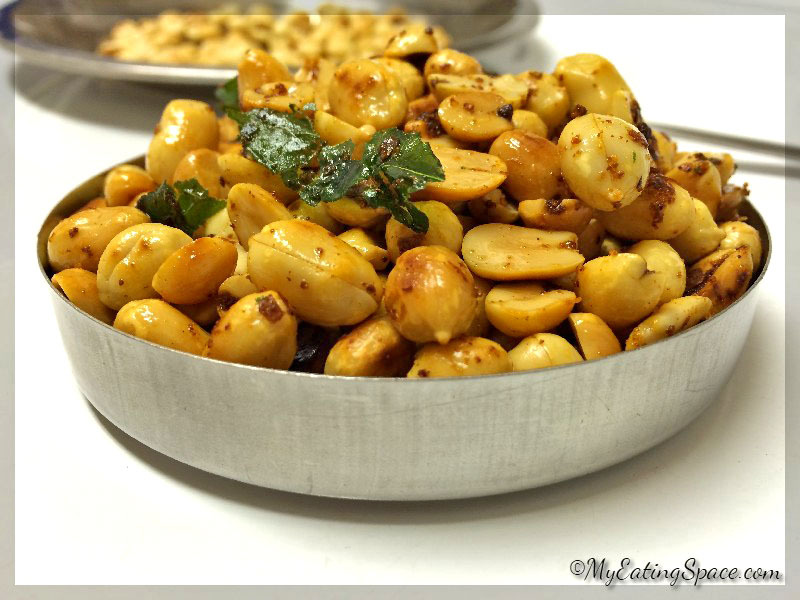 You can’t stop once you start munching this spicy garlic roasted peanuts. 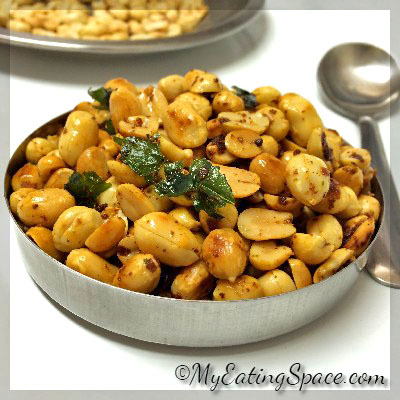 Hot and spicy peanuts roasted with fresh garlic makes a wonderful and healthy, gluten free snack to munch on. 1. Preheat the oven to 350 F. Spread the peanuts in a baking sheet in one layer to ensure even baking. Place the baking sheet in the middle rack of the preheated oven. Bake for 15-20 minutes, tossing in between. Remove the nuts from the oven. (You can also roast the peanuts on stove top. Simply dry fry the peanuts with continuous stirring on medium-low heat for 15-20 minutes). Remove the skin by wrapping them in a clean dish towel and gently rubbing. Remove the skinned peanuts from the towel and keep aside. Discard the skin. Now heat oil in a frying pan. Add the crushed garlic and saute until just golden brown on medium-low heat. Add the curry leaves into the hot oil.let it fry for a second. Now add the ground cayenne pepper, nutmeg powder and asafoetida powder and stir well. Now toss the roasted,skinned peanuts in the spicy hot oil for 5 minutes on low flame. Season with salt and toss to coat the peanuts. 1: You can keep the skin if you prefer to. They are a great snack to take on the go or to the office or school. Only thing to avoid is careless eating. Pre-portion the right amount in a small box or in a zip lock bag. 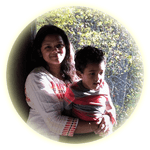 Subscribe My Eating Space Newsletter !